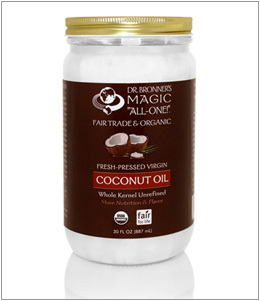 Unrefined coconut oil is a non-hydrogenated, cholesterol free and trans-fat free product. It is rich in medium-chain fatty acids, which are broken down efficiently by the body, providing an immediate source of energy. This is one of the biggest differences in what sets it apart from other saturated fats, making this an optimally healthy saturated fat. It has been linked to aiding numerous health conditions and has numerous beneficial properties like being anti-bacterial. Its flavor, aroma, versatility and health benefits are all outstanding. It is one of the best oils to use for cooking, as it does not break down into harmful compounds at high heat. It can be used as a spread, in cooking, baking and makes outstanding raw, vegan desserts. 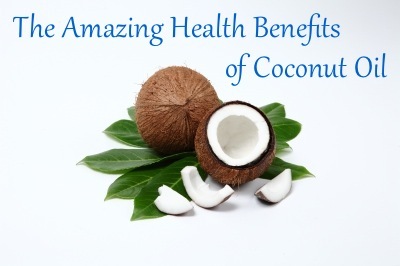 Coconut oil can also be used topically on our skin and hair. Instead of soaking ourselves with synthetic lotions, full of questionable ingredients, coconut oil can be easily used on the face and body to nourish and moisturize our skin. It can also nourish our scalp and hair, and be used as massage oil. It absorbs quickly and nurtures our skin exceptionally well. 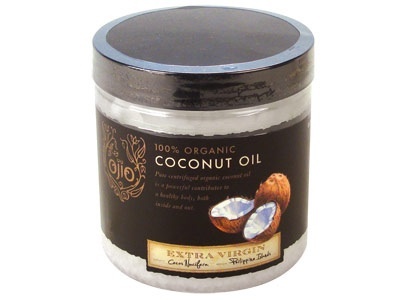 Consider the following characteristics of coconut oil when deciding which brand to purchase. Refined is normally considered regular and it has virtually no coconut taste or aroma. It produces oil from dried copra (not fresh coconuts) and the oil typically undergoes various levels of being deodorized and bleached. Because it has been refined, it can usually withstand slightly higher cooking temperatures before reaching its smoke point. 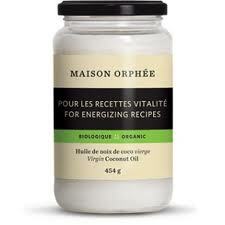 Refined coconut oils are excellent for cooking foods where you need lots of clean, pure, malleable fat without a dominating coconut flavor (example: pie crusts or french fries). Refined coconut oils do not offer the same health benefits of a virgin, completely raw coconut oil, but they are still excellent sources of most of the beneficial fatty acids (like MCTs). As a given, almost all the coconut oils available in your grocery store or vitamin store are refined unless they specifically say otherwise on their label. Beware: not all refined coconut oils are alike. Most are refined using a chemical distillation process dependent on lye or other harsh solvents, or they’re made from the rancid oil byproducts leftover from creating dry coconut flakes. They are refined, bleached, and deodorized in an effort to create an appealing product that can be sold to consumers. 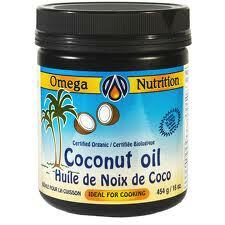 Many coconut oils are even hydrogenated or partially hydrogenated. Avoid these at all costs as the hydrogenation process creates synthetic trans-fats. An unrefined coconut oil is typically labeled “virgin” or “extra-virgin.” Virgin and extra-virgin coconut oils are made from the first pressing of fresh, raw coconut without the addition of any chemicals and has a fresh coconut taste and aroma. It is typically made from fresh coconuts, but processing techniques will still vary in determining the product’s final quality. 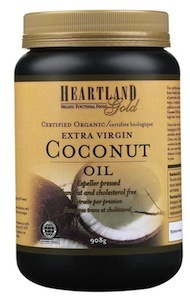 For the most health benefits coconut oil should be purchased in the unrefined or (extra) virgin form. It is even more beneficial if it is organic and raw. Beware: Depending on how the oil is extracted, the flavor can be very intense or mild. The more heat the oil was exposed to, the stronger the coconut flavor. So a truly raw, unrefined, virgin coconut oil will have a very mild coconut flavor and scent. Refined coconut oils can be treated with various chemicals, and processed with very high heat, thereby compromising the health benefits of this product. Refined oils are cheaper, but the unrefined are worth the extra price. Expeller pressing is a chemical-free mechanical process that extracts oil from seeds and nuts. The temperature reached during pressing depends on the hardness of the nut or seed. The harder the nut or seed, the more pressure required to extract the oil, which in turn creates more friction and higher heat. Cold pressed oils are expeller pressed in a heat-controlled environment to keep temperatures below 49ºC or 120ºF degrees. In this sense, it is more beneficial to choose a cold pressed oil, as the more heat that is applied to the food item, the more the nutritional benefits are normally compromised and the more the quality of the food is degraded. A centrifuge is an equipment driven by electricity which rotates around a fixed axis. You must have seen a washing machine dryer, it works on the same principle – drum acts as centrifuge and water is literally forced out due to the fast spinning. 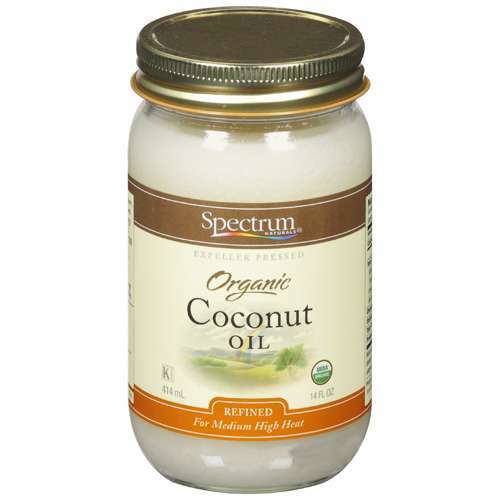 The same process applies to coconut oil that has been extracted using centrifugal force. With the use of centrifugal process, the separation speed of oil and water is greatly enhanced without using any chemical process of heat. As centrifuge moves, coconut oils starts moving towards the center and then can be collected. This separates coconut oil and water. 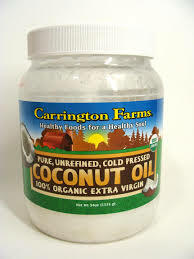 Coconut oil produced using centrifugal process is one of the closest to the properties of actual coconut meat because of lack of harsh processing. Beware: Expeller-pressed and Cold-pressed don’t necessarily mean “raw.” These oils can be heated to rather high temperatures during the extraction process (even up to 200F) sometimes. The temperatures alone aren’t enough to make the oils go rancid, since coconut oil is such a stable fat and can withstand high heat well. But as I mentioned earlier, the more heat used in extracting the oil, the more coconut-y or “toasted” the flavor will become. A centrifuged oil is less likely to be exposed to much heat in the extraction process, so it will taste more mild and delicate. Be sure to also examine the label of your coconut oil. 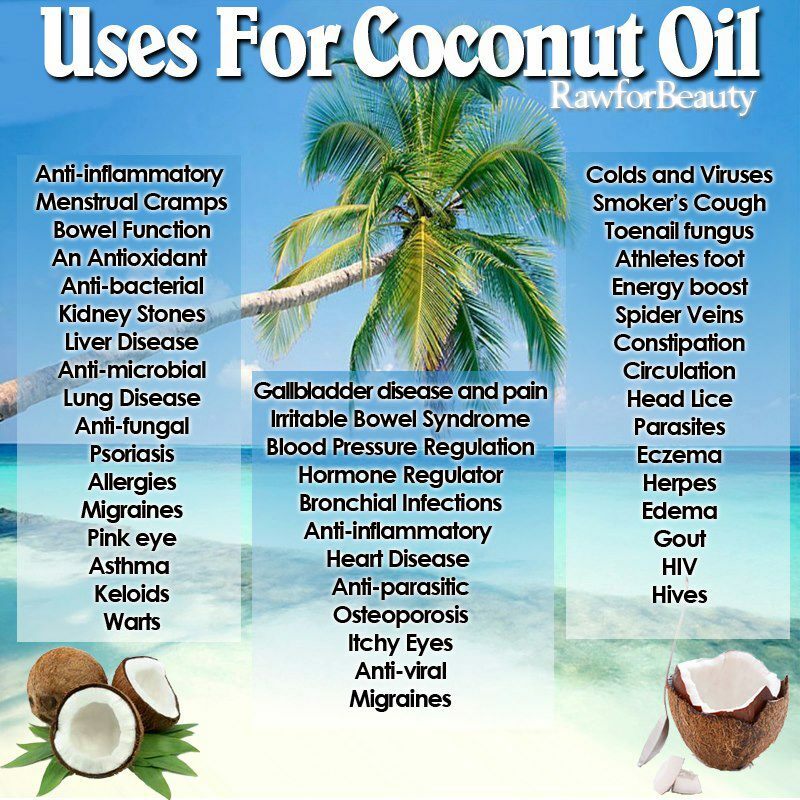 Some coconut oils will try to sound great on the front, while they hide a list of contaminated ingredients that the oil could have come into contact with on the back. The color of the coconut oil should be fairly white, and the aroma should be sweet and pleasant like fresh coconuts (unless it is the refined oil, which is devoid or scent or flavor). High quality oil should really only come in glass packaging. This entry was posted in Cooking Oils. Bookmark the permalink. I totally understand your concern about the saturated fat. 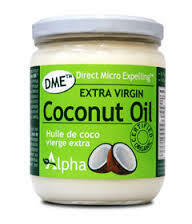 The thing with coconut oil is that of all the saturated fats, this is the one that is broken down easily by our bodies, so it does not clog our arteries, cause high cholesterol, etc. Coconut oil is the healthiest fat on the planet, hands down. Plus, it is so versatile. Ruth, you eat very healthy anyway, so it’s not like it is vital that you use this kind of oil. So whatever you feel comfortable with, stick with it. Just make sure you never use anything that is partially hydrogenated, such as margarine.